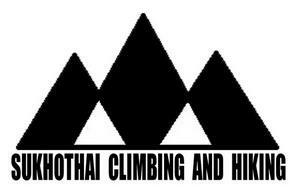 Sukhothai Rock Climbing organises rock climbing tours and hiking tours in and around the unspoilt ancient province of Sukhothai. Our climbing leaders are highly trained professionals with over ten years’ experience of organising trips and adventures in Thailand. We have equipment of the highest quality and safety is also our forefront. Climbs in Sukhothai are an exceptionally unique experience due to the discreet location of the crags and pristine condition.